Published on Monday, March 16, 2015. This article appears in the April/May 2015 issue of American Craft Magazine. 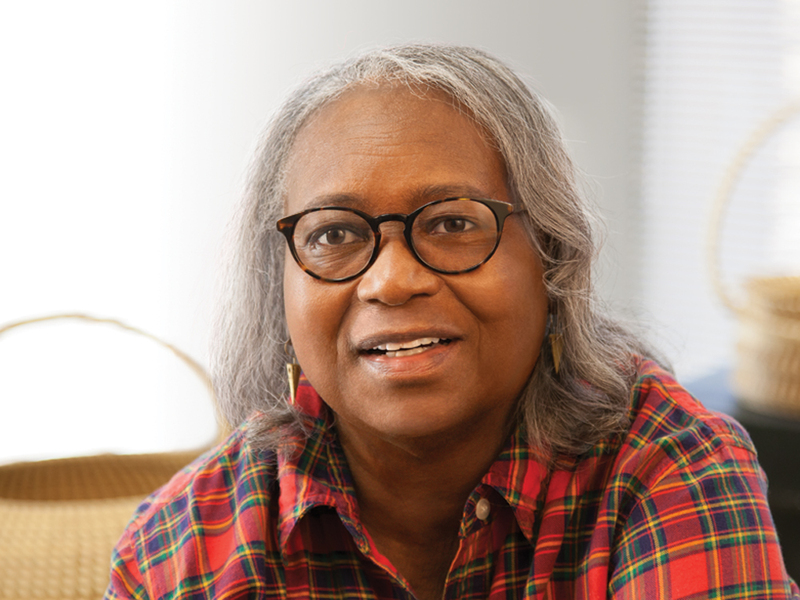 With her distinguished career, Mary Jackson has left her mark on a long tradition. 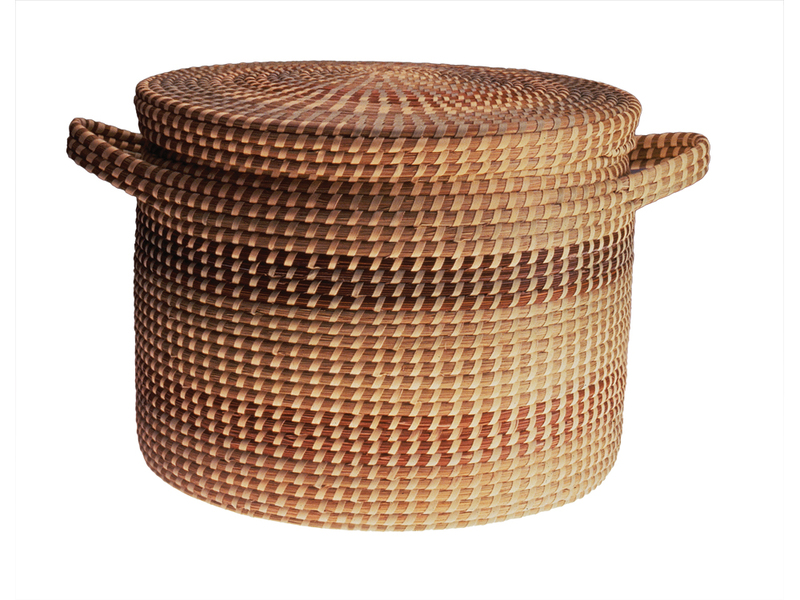 That’s Mary Jackson, the nation’s most celebrated maker of sweetgrass baskets, describing a trip she took to West Africa in 1988, a pilgrimage of sorts. 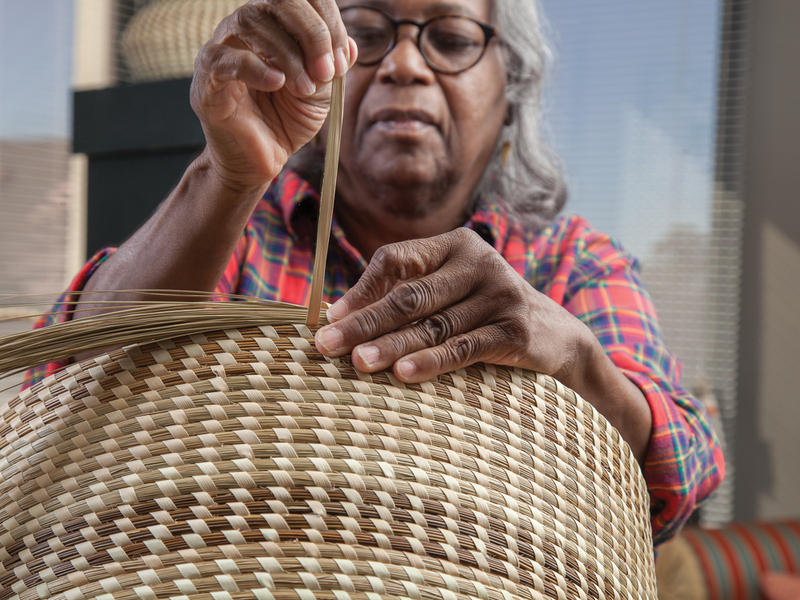 Her ancestors were brought from there to America on slave ships 300 years before, bringing with them a technique and style of basketry handed down to her through generations. 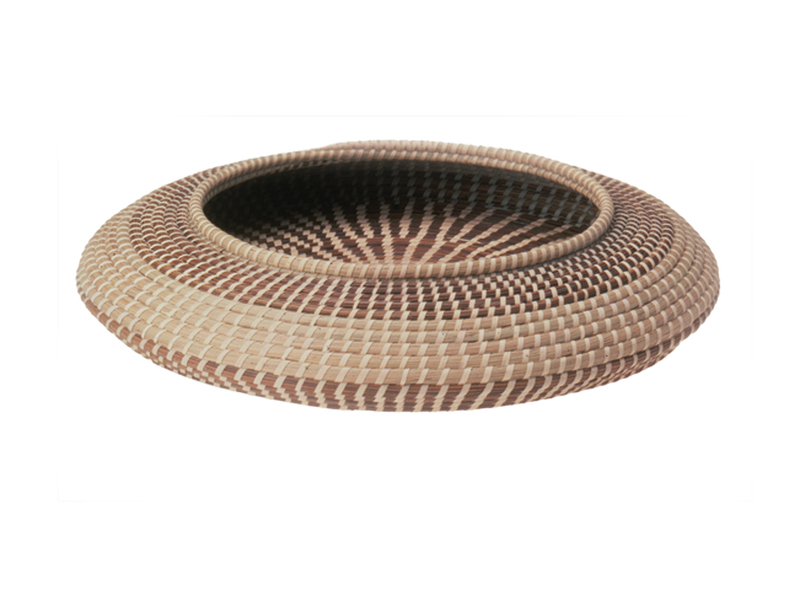 She was deeply moved, she recalls, to see those familiar coiled forms still being made in Africa. 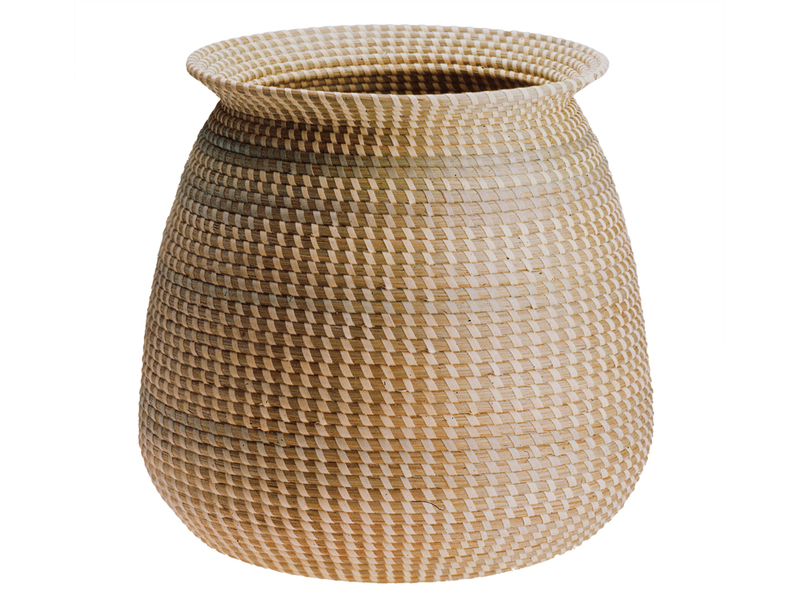 For some 35 years, Jackson has created baskets true to that long, unbroken tradition, yet with a modern look and an expressive, sculptural flair that’s distinctively hers. 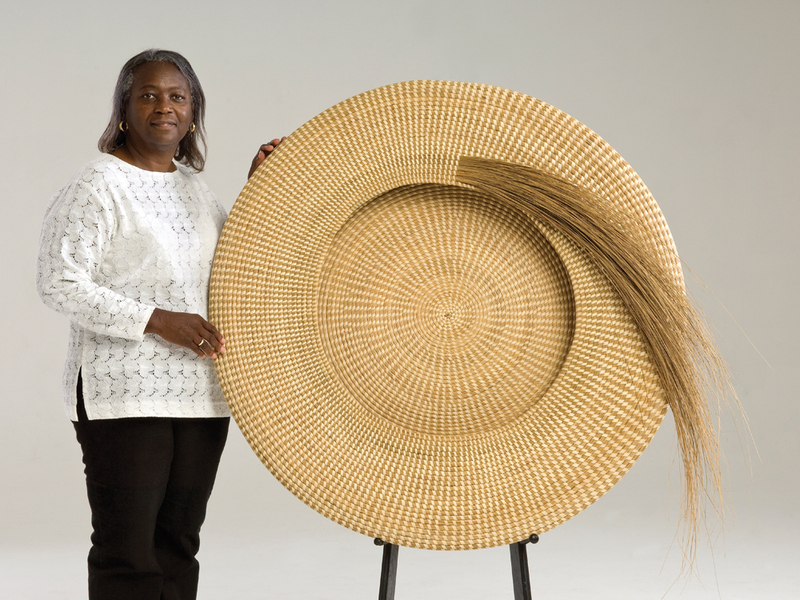 She weaves them out of the strong, pliable sweetgrass that grows around the marshes and swamps of coastal South Carolina’s Low Country. A descendant of the Gullah community, Jackson has lived there almost all her life. She sews the grasses with palmetto strips, sparingly adding design accents of bulrush and pine needles. 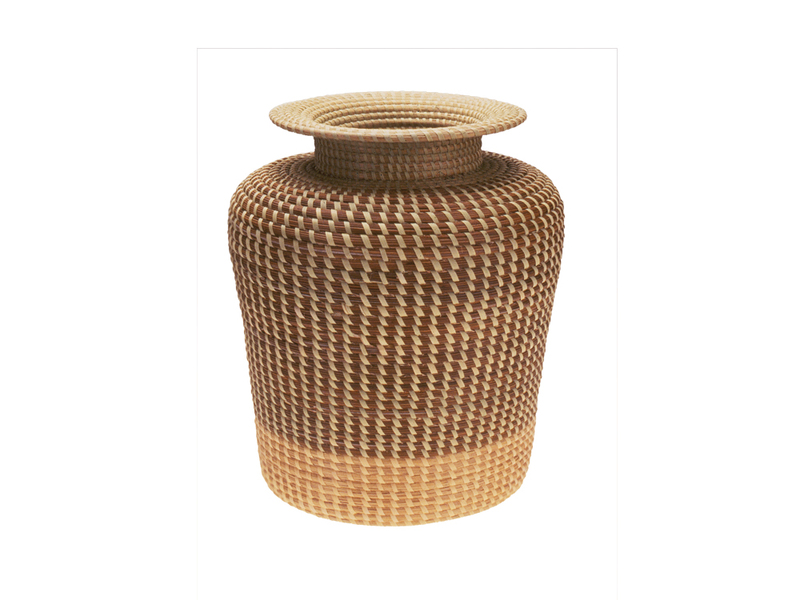 All are the same native materials used since the early plantation days, when they were harvested and woven into containers for agricultural and household use. 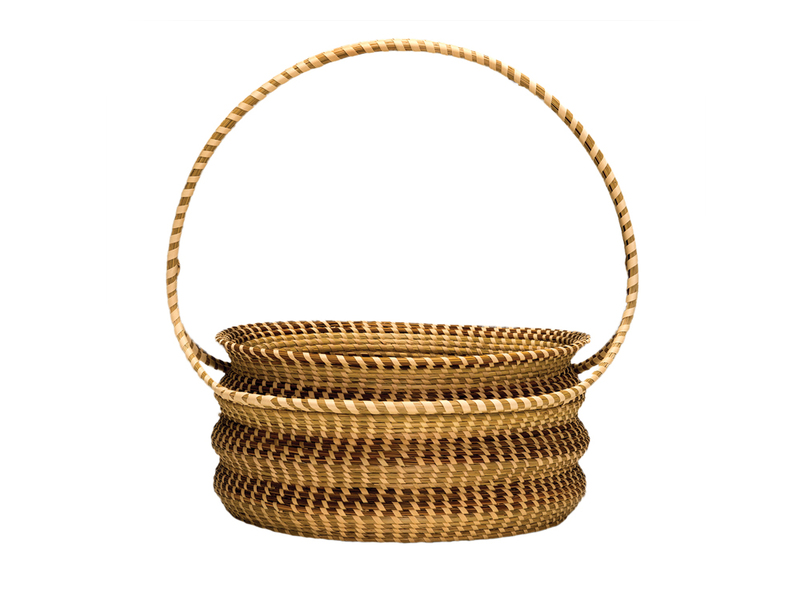 As local women had done since the 1930s, her mother and her friends put up little roadside stands where they sold their baskets to tourists. Jackson had other ambitions and headed to New York City, where she went to secretarial school and worked as a secretary. There she began to develop her artistic eye. Today Jackson is regarded as something of a national treasure, a mantle she wears lightly. 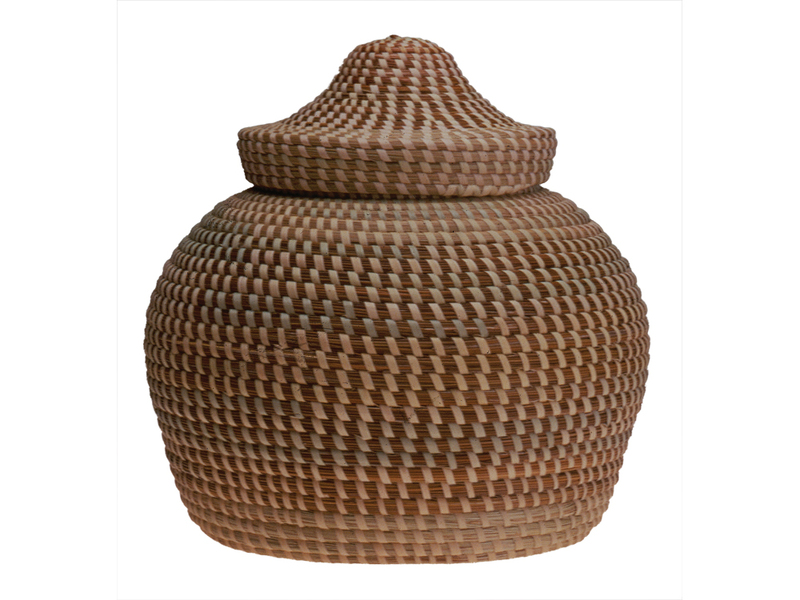 She does, however, take very seriously her role as an advocate for sweetgrass basketry. 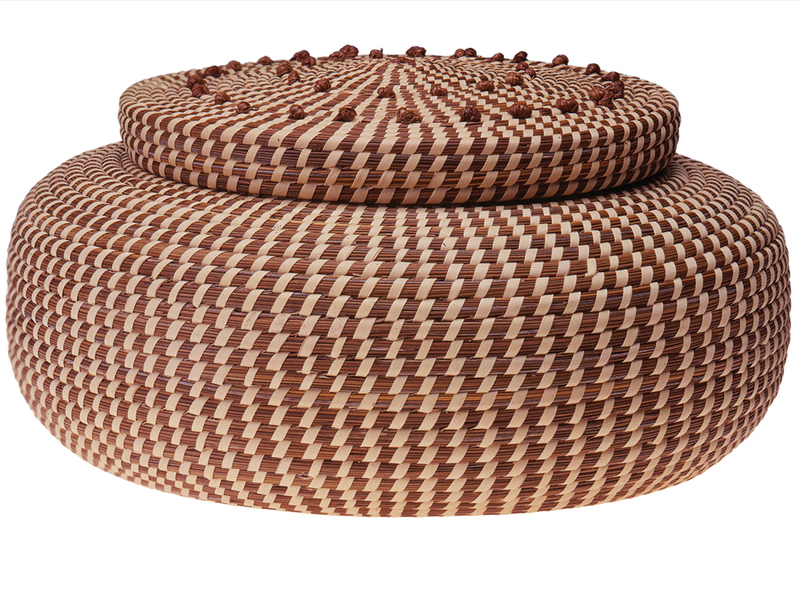 That came into sharp focus for her in the late 1980s, when she and other local makers saw their sweetgrass supply begin to dwindle, threatened by land development. “These grasses are hardy. The only thing that really affects them is a bulldozer,” she says. 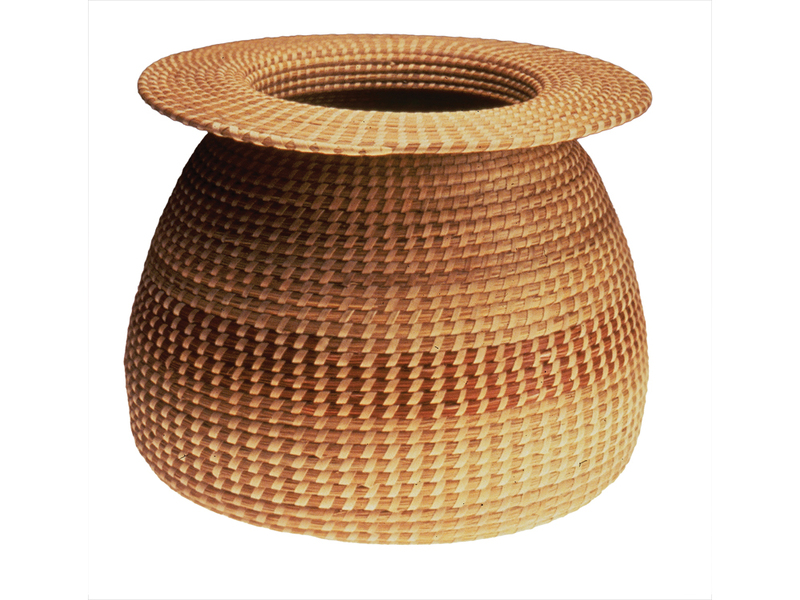 “We knew that in order to save the tradition, we had to see what we could possibly do to bring them back.” As founding president of the Mount Pleasant Sweetgrass Basket Makers Association, she worked for a decade with local craftspeople, government officials, preservationists, and a Clemson University horticulturalist, salvaging grasses from sites slated for development and replanting them on donated, protected lands. Thanks to their efforts, sweetgrass – uprooted but resilient, like Jackson’s ancestors – continues to thrive in the region today and has even acquired cachet as an element in landscape design. 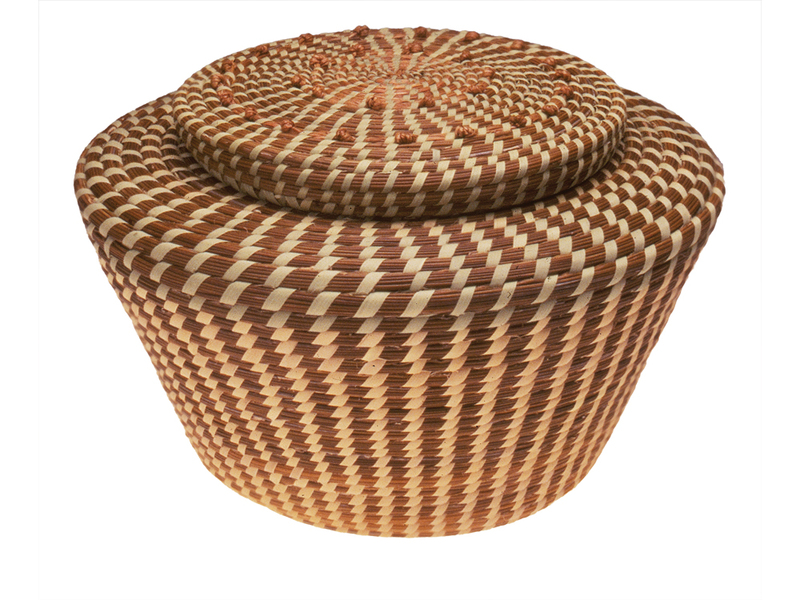 As for Jackson, 70, she remains as busy as ever, making baskets for clients willing to wait up to several years for a one-of-a-kind piece. Stoney, now retired from his job in health care, still harvests her grasses every spring and summer, as he has done throughout their marriage. They live on a sea island north of Charleston, in a house filled with their collections, including “a ton of baskets, from almost every culture.” Immediate and extended family are all nearby, including their daughter, who runs the business end of Jackson’s practice, and their teenage granddaughter, who enjoys basketry when she’s not busy with studies and extracurricular activities. She has a studio in Charleston, “a very comfortable little space” in an office building, where she puts in long hours of painstaking handwork that slowly gives rise to beautiful forms. (“I keep company with the TV on,” she says.) When she goes home at day’s end, she might pick up one of a number of commissions-in-progress that are always around the house. “I work sometimes until midnight if I feel up to it,” she says. “Right now I have at least 10 to 15 baskets at different stages. I’d like to get a lot of things completed – that’s my goal.” While the work still excites her, she looks forward to catching up and slowing down, spending more time with her family. 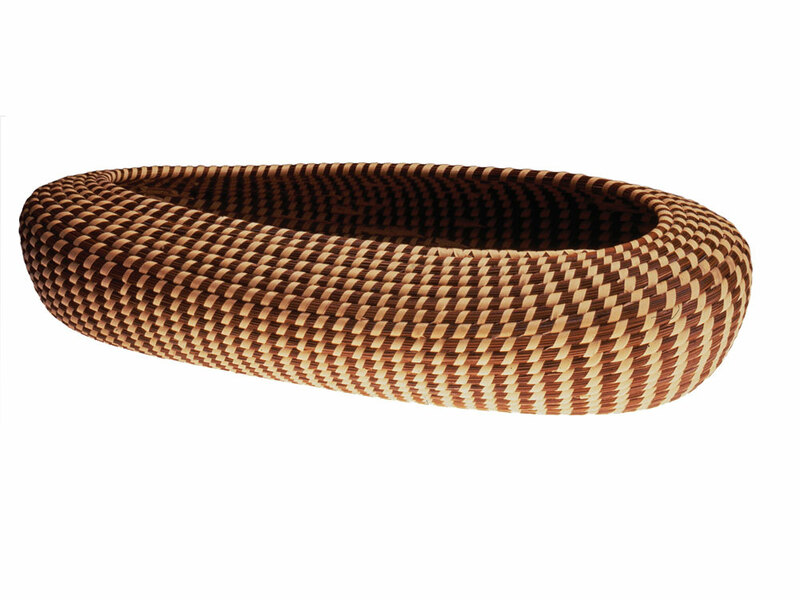 Asked what she considers her most ambitious or challenging piece, she answers without hesitation: a shallow form 3.5 feet in diameter, with a burst of grass flowing out, commissioned by a client to be the sole, dramatic piece of wall art in a particular room. (A photo of it hanging in place graces the cover of Simplicity, a new book on interior design, by Nancy Braithwaite.) It took three years to weave, and at times she had to stand on a scaffold or lie flat on the floor to get it done. 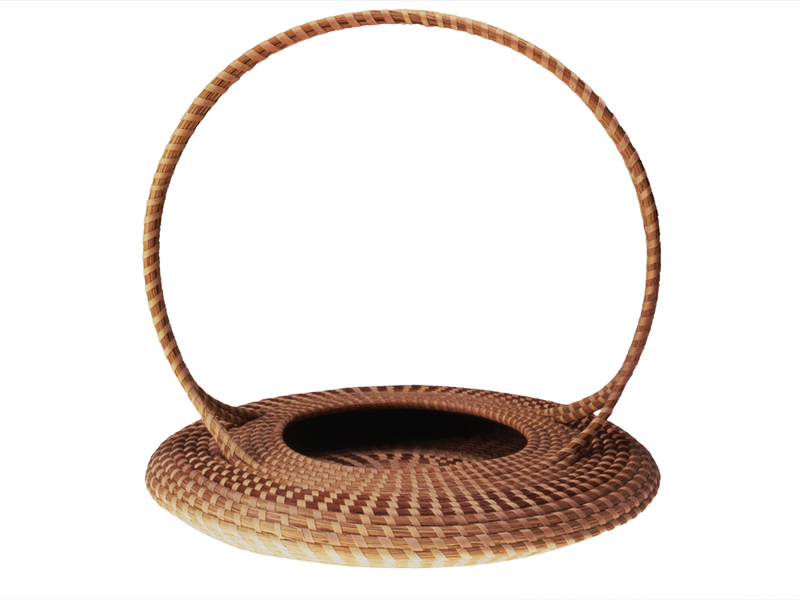 “It is one of the most spectacular baskets that I have ever made,” she says. 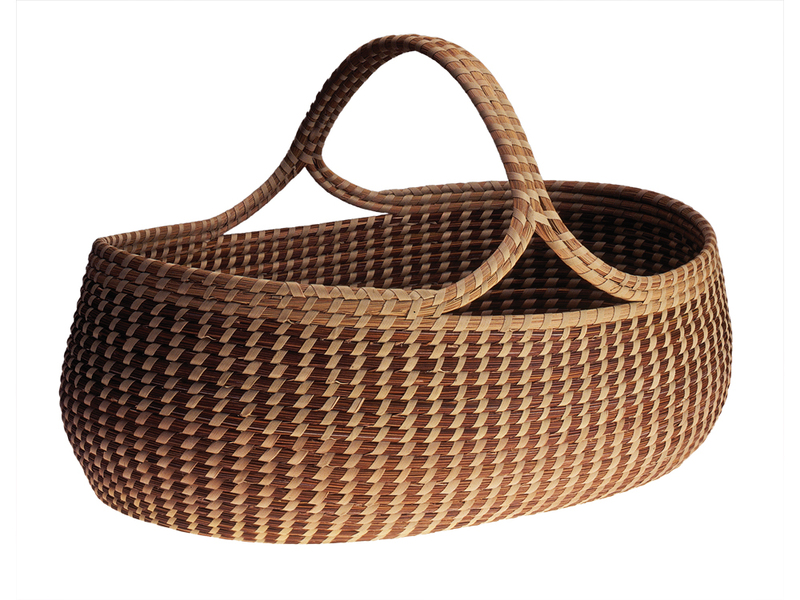 “It’s the only basket I will ever make on that scale, and it’s one that I am very, very proud of. I convinced myself to do it, and I did it.” What does she call it? Never Again. 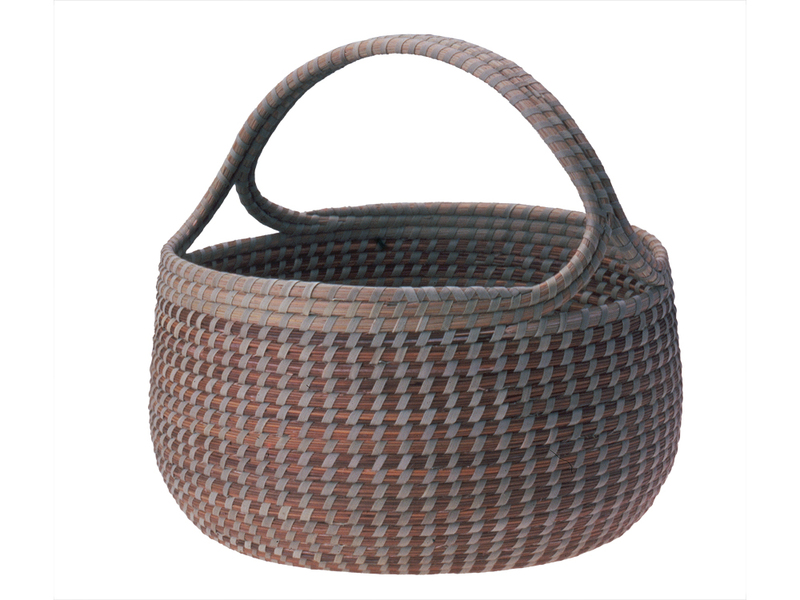 What matters most to Jackson now is raising awareness of basketry as an art form. 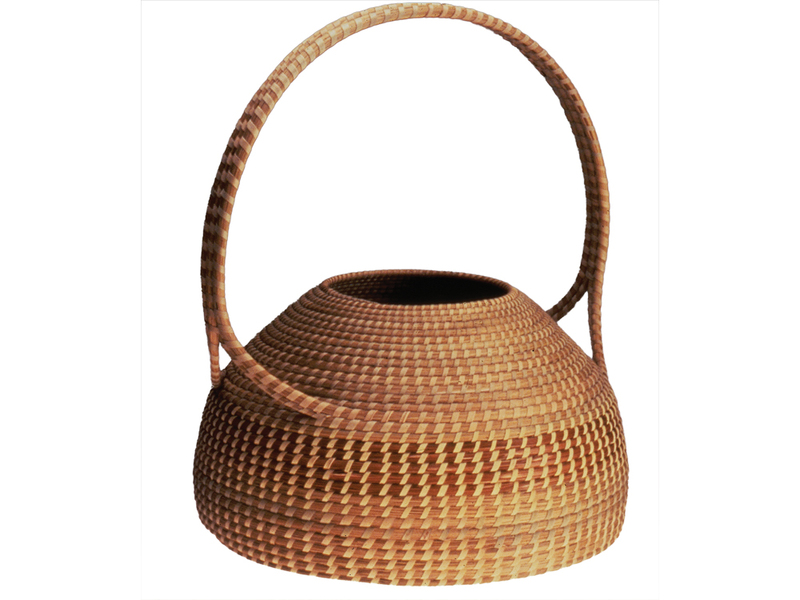 “I’m amazed and thrilled that all this recognition has come,” she says of her distinguished career, “but I see it as something that is benefiting to everyone – not just my work or my tradition, but other artists from all over the country who have this passion for baskets.” She’s proud of her contribution to the field and grateful for the opportunity “to bring something very special, that people will enjoy for generations to come.” No doubt her ancestors would be proud, too.